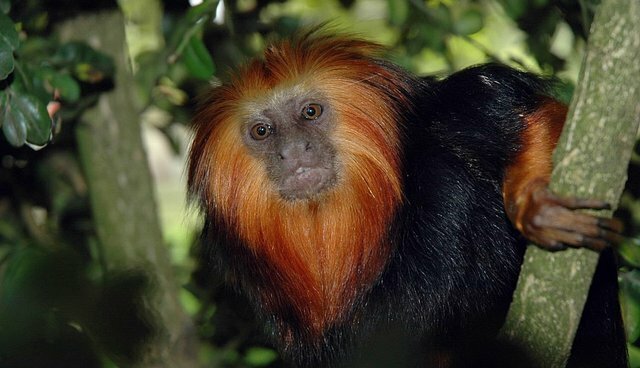 An endangered golden-headed lion tamarin and a family of critically endangered Visayan warty pigs were recently eaten by other animals in two separate but equally shocking incidents at the Bristol Zoo. Worst of all, officials there say the deaths weren't really a mistake - just the result of "natural behaviors." A zoo whistleblower says that the tamarin, a monkey native to the forests of Brazil, perished in mid-January after escaping his enclosure and falling into a nearby pond. The source told the Bristol Post that the rare primate was "trapped in a drainage valve and then eaten by [North] American otters." "Our animals are also housed in natural enclosures, replicating environments they would be used to in the wild. As a result, on rare occasions, despite our best efforts, we are not able to prevent unfortunate and unforeseen situations from occurring." 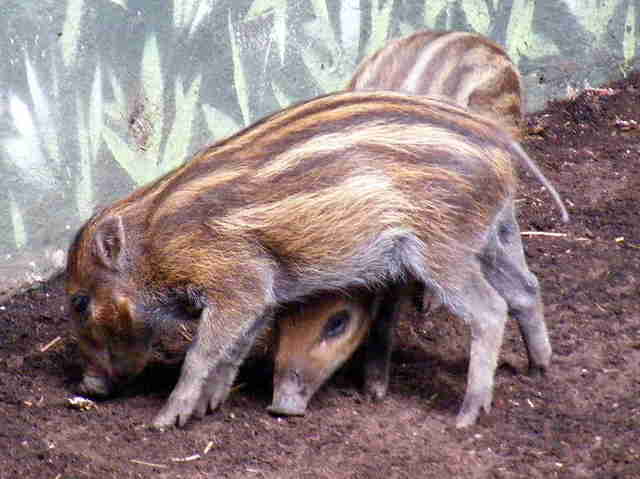 The zoo is reportedly no stranger to losing captive endangered animals: According to the whistleblower, a mother warty pig was killed and her newborn litter of piglets eaten in November by a male pig who had recently been introduced to the enclosure. The source says keepers knew the male might attack his new partner's offspring, so he should have been kept separate. The zoo countered by saying they were unaware she was pregnant. Sadly, injuries and deaths of animals in captivity is par for the course for zoos, Adam M. Roberts from the group Born Free USA told The Dodo. "Humans make a significant - and deliberate - mistake when they place wild animals in captivity for the visitors' amusement," he says. "And no matter how much money is spent on these artificial exhibits, they are never foolproof and accidents will happen - with painful, if not deadly, consequences."